A.R.M Locksmiths is one of the most reliable service providers operating locally. Served with a team of professionals working in shifts, we offer our services 7 days a week, throughout the year. With selected service points, we ensure that help reaches you as soon as possible in return of your call. Our phone lines are open 6am - midnight to take regular bookings and emergency call-outs. We do not charge separately for out-calls as long as they are made from Crawley, Burgess Hill, Haywards Heath, Hove or Brighton. You can call us directly or use the sites contact form. Fill in our contact form to request a call-back or a quotation. We will endeavour to get back to you as promptly as possible, however, should you require a locksmith urgently, we recommend you give us a call. A.R.M Locksmiths is open every day of the year, regardless of public holidays and strikes. Since we are dedicated to emergency services, we make sure that time is never a constraint in this. Our locksmith service is committed to offer complete support to all callers at all times. Our team work in shifts so that availability is ensured from 6am - midnight every day. Our emergency service is available for all situations and sub-services. Whether you are locked out of your house/flat/apartment, or you’ve misplaced your keys, we have a solution for everything. Even for emergency needs, we do not charge extra within our range of service. Our locksmiths respond to a call within 30 minutes for prompt servicing. We offer emergency repair, replacement, install and key cutting. We offer affordable pricing and a professional, friendly service, which is why we are the preferred choice among our customers. A lost key or a malfunctioning lock can keep you stranded in or out of your house/flat/apartment for a long time, if help is not sought. Crashing at a friend’s might not be an option for a very long time; neither is staying indoors without an access to the outer world. A.R.M Locksmiths can bring immediate help to you if your home is located in Sussex, Burgess Hill, Crawley, Haywards Heath or Brighton. Our technicians can take your call and be with you, to any of these places, with a promise to reach in 30 minutes. Whether you call for help at the crack of the dawn (6am) or the dead of the night (12am), we will have a technician ready for you. 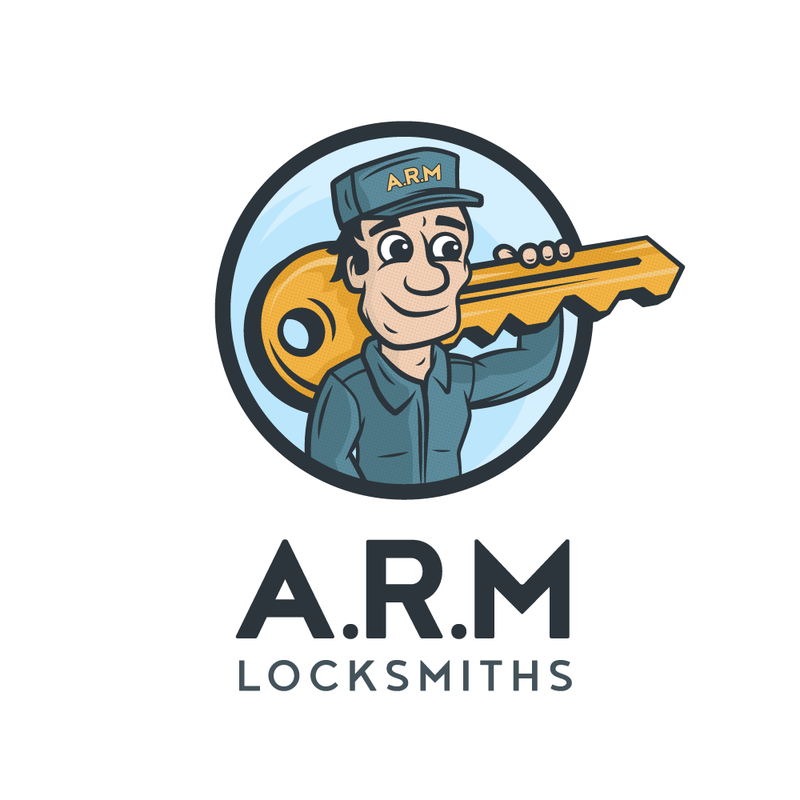 A.R.M Locksmiths ensure that its services are affordable to all. This is why it prices its domestic lock assistance services moderately and competitive. We work through a team of dependable and highly skilled professionals who are fully familiar with modern and older locking units. They can cut keys on the spot as well as being able to uninstall the existing security system. We offer locking services on events of replacement. Call us today and help will be there right away. Our locksmiths assure timely arrival and instant fixing for all kinds of lock problems. Security failure in commercial places means risk of assets and disturbance in workflow. If your business premise is encountering a lock and key issue, call us for immediate help. Our commercial locksmith services are dedicated to the repair and replacement of locking units in business houses, stores, showrooms, libraries and other public properties. Run by a team of technicians who are fully licensed and insured, we attach great pride to the quality of service delivered to our clients. Our team is highly responsive and skilled to sort all manner of lock situations. With our host of services, we make sure that your business premise is secured for all times. Our services are protected by a service warranty of 90 days which ensures that the problem will not recur within at least a time frame of 3 months from the date of fixing. We have a team of locksmiths dedicated to delivering our commercial locksmith service. They are specially trained to fix all sorts of commercial locking units. They are all certified professionals who have hands-on experience in repairing complex locking units. To add to that, our service prices for commercial locks problems are essentially low compared to that charged by others. Our response time is normally within 30 minutes from the time of call, between the hours of 6am - midnight. If the security unit of your premise has faced a sudden crisis, give us a call immediately.